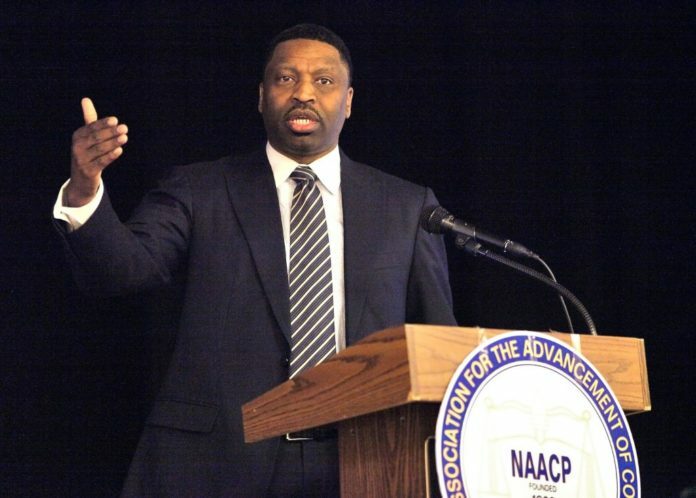 The NAACP, the nation’s oldest and largest nonpartisan civil rights organization, named vice chairman of the board of directors Derrick Johnson as interim president and CEO, effective immediately. The unanimous decision was made by the executive committee of the board of directors during the Association’s 108th annual convention in Baltimore, Maryland. The NAACP released the following statement. Derrick Johnson will serve as interim president and CEO until a new president is named. Derrick Johnson formerly served as vice chairman of the NAACP National Board of Directors as well as State President for the Mississippi State Conference NAACP. The first vice chair of the Mississippi State Conference NAACP will assume leadership of the state conference operations. Derrick’s full biography is available here.